Gardai not aware the club has made a complaint, but rather, it has received complaints from "individuals"
Senior gardai revealed Friday that a probe into the claims has been ongoing for the past few months. It's understood some of the alleged abuse was posted online via fake player profiles. The alleged abuse - believed to have targeted players as well as their loved ones - was reportedly posted via accounts on Twitter and Instagram. Superintendent Derek Smart, Henry Street Garda Station, said: "We are aware that certain people have made complaints, which we are investigating." Gardai would not comment on the alleged nature of the complaints they received. "All I can say is that an investigation is underway into complaints from individuals. The investigation has been taking place over the last couple of months," Supt Smart said. "It's ongoing. No arrests have been made," he added. 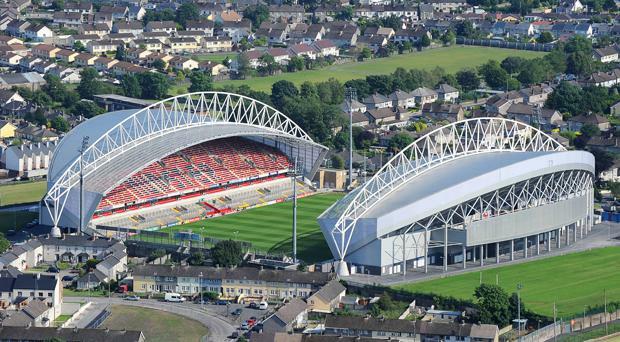 Gardai said they were not aware of an actual complaint by the Munster Rugby club itself, but rather the complaints are understood to have been made by individuals linked to the club. According to a report in the Limerick Leader, a source at the club claimed the alleged perpetrators were "actively looking to destroy reputations and falsely represent people". Social media accounts were manufactured "for the purpose of attacking and abusing players, while also falsely claiming to be Munster Rugby players online," they claimed. Gardai said they were not aware of reports that the club had sought the help of a "forensic scientist" to help players deal with the alleged abuse. The Leader reported that a club source told them: "It effects us all, but we all work together to try and get through it. This abuse has been going on for months." "This is not rugby-related. This is targeted abuse and has moved beyond the players' themselves. It has linked in to their family and friends." "With the on-line world you cannot control most of it. It's other peoples' accounts, other peoples' posts. We cannot remove, we can't delete them. Obviously we report them, we use the mechanisms that are available to us with regard to reporting on the social media platforms, but it is on-going, it is continuing to happen." Munster's season is reaching a critical stage with the team facing a crucial Guinness PRO14 clash with Zebre at Thomond Park this Saturday.